In one of my previous articles I talked about the Millenials and how I find inspirations in their thinking and professional choices. I am very happy to have Nicolai, my oldest son, and his girlfriend, Jinyu, as my guests. Nicolai and Jinyu met in the small University city of Utah, Cedar City, USA, and graduated in May 2013. This last year they spent in Norway and now in Shanghai to learn each others cultures and languages. Jinyu in Europe and Norway for the first time ever. 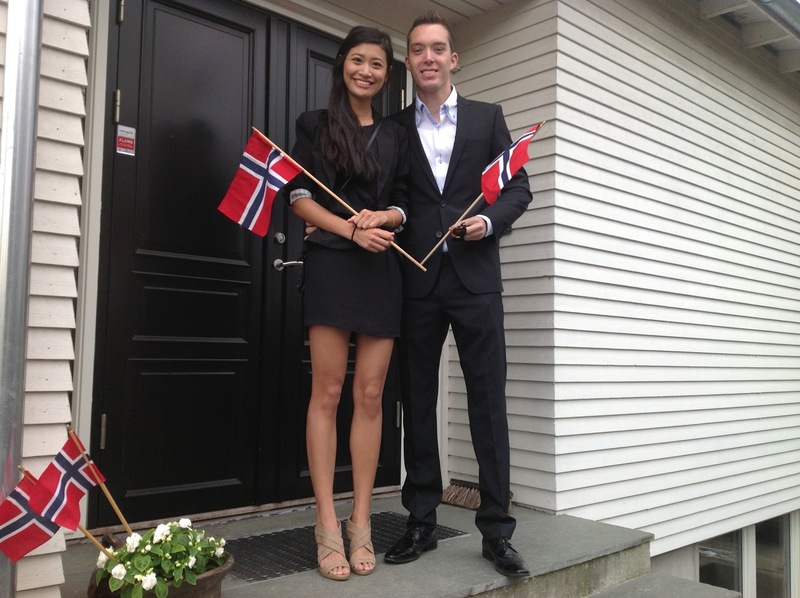 Here celebrating the Norwegian Constitution day on May 17, 2013 with Nicolai. – We are both very international and love traveling, meeting new people and explore different cultures. Exploring each others cultures and languages has been a natural and exciting milestone after graduation. Jinyu just started in an interesting Management trainee position at Abercrombie&Fitch. – I will be trained for HR, visual merchandising, diversity and some other crucial perspectives of fashion and retail industry. We just opened the very first flagship store for China here in Shanghai. It was very busy and successful! And I learned a lot. – Nicolai, what was the biggest change for you moving from Norway to Shanghai? – It was a big step for me to live with Jinyus parents as they don’t know a word of english. This became the excellent opportunity for me to practice my Chinese. I am now a lot more comfortable communicating in Chinese and I have also adapted the big differences of the culture. Regular daily activities such as going to the grocery store, taking public transportation and eating in restaurants are challenges and make me adapt the culture and language. Nicolai just came back from a Business trip to Thailand where he was presenting a new Athletic concept for Business Leaders. Time will show if his sales pitch was convincing enough to expand the concept he is working on. 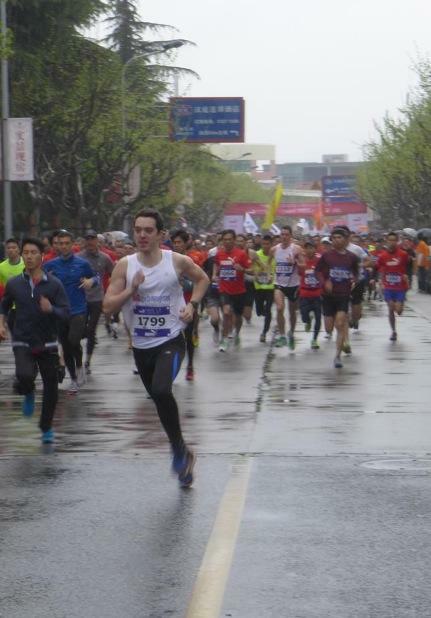 He just ran his first race in Shanghai, and next is marathon in Singapore in the end of May. Nicolai running his first race in Shanghai. – Jinyu, are there changes you have noticed in Shanghai since you came back from your studies in the US? 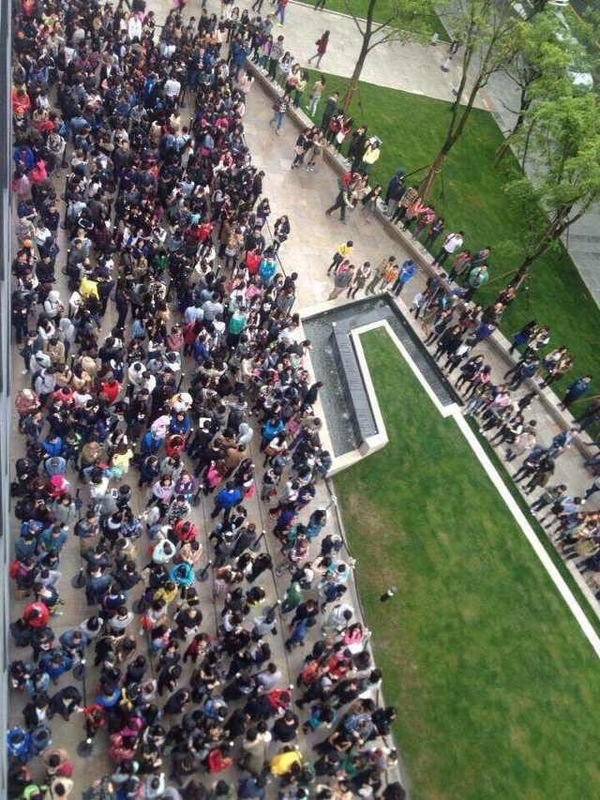 – Shanghai is changing every single day! It grows so fast that locals can’t even keep on track. This is a radiant and young city that has so much to offer. The one thing that I have realized is that before foreigners were here just for leisure, but now more and more of them are coming for job opportunities. According to the latest population report, there are over 300,000 expats living here as residents, most of them come from Southern Europe like France, Italy and Spain.